Marcus Wade is Founder and Chairman of Wilben. After a successful career spanning over 20 years of trade and trade finance, he founded Wilben in 2014. 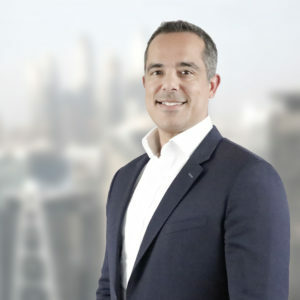 He began his career with London Forfaiting Company working with European exporters selling goods and infrastructure projects to emerging markets. In 2004 he joined Cargill Inc’s Trade and Structured Finance team. Four years later Marcus joined Noble Group setting up and heading the Global TSF division. Marcus holds a law degree from King’s College, London.